Why is Whistle Blowers a must for every organisation? The whistleblowing phenomenon is not going away. The Securities and Exchange Commission (“SEC”) recently released its annual report, which had some eye-opening statistics and facts for companies. Chief among those was the fact that, of the whistleblowers that came forward to report fraud to the SEC, over 80% had reported the matter internally first. How can whistleblowing reduce your workplace crime? 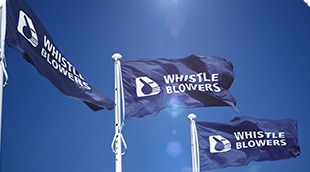 Whistle Blowers (Pty) Ltd prides itself on its implementation and reinforcing of the protected disclosure concept, to create a culture of awareness, thereby including all employees in the crime-fighting fold. Presentations can be made to all employees at subscribing sites, educating them on the ultimate benefits to the company and employees of rooting out criminal elements in the workplace…. Ethics SA has certified Whistle Blowers (Pty) Ltd as meeting the External Whistle-blowing Hotline Service Provider Standard EO1.1.1. This is the fifth year that they have received the certification.